Safe and Skin-friendly: Made with high intensity pigment and holographic shine to create a million rainbow sparkles. Our stunning cosmetic grade chunky glitter is FDA approved and has been specially formulated and tested to be safe and gentle on your skin. 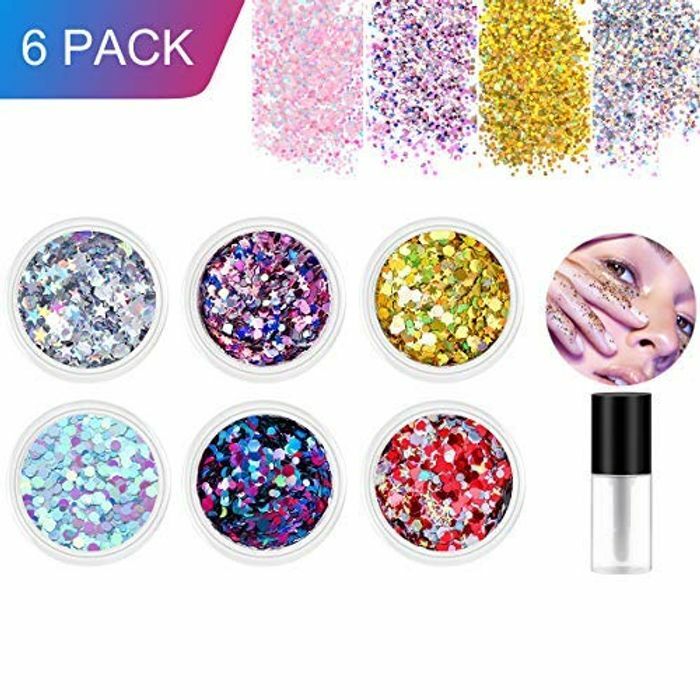 6 Bottles Face Glitter: You will receive total 30g cosmetic glitter, which is several times heavier than other glitters in the market. Pump up the glam for Halloween makeup, Christmas party, music festivals, clubbing, nights out, costume and fancy-dress parties.